Come see us at ISC’14! We’re getting excited for the upcoming ISC’14, June 22-26 in Leipzig, Germany! 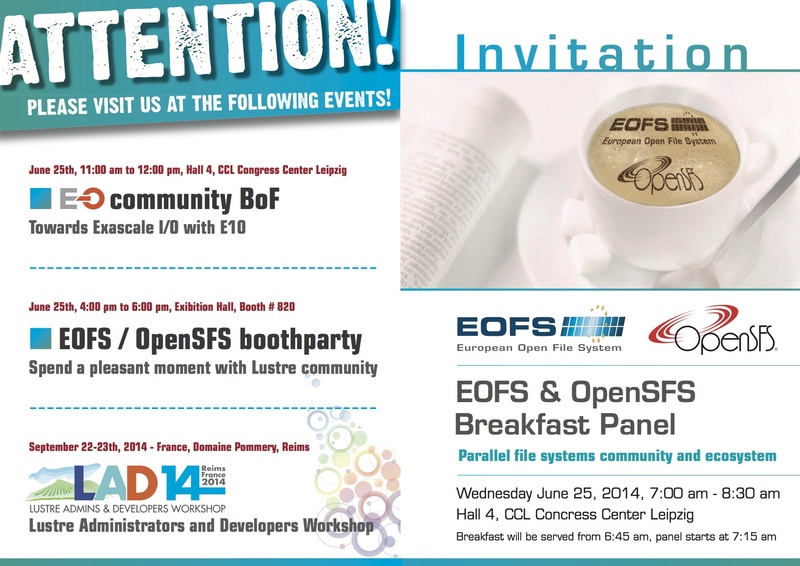 EOFS and OpenSFS will be at Booth #820, and we would love to have you come by and talk Lustre. Drop us a line @OpenSFS to let us know if you’ll be there. We can’t wait to hear all the discussions and new ideas on the future of Lustre!